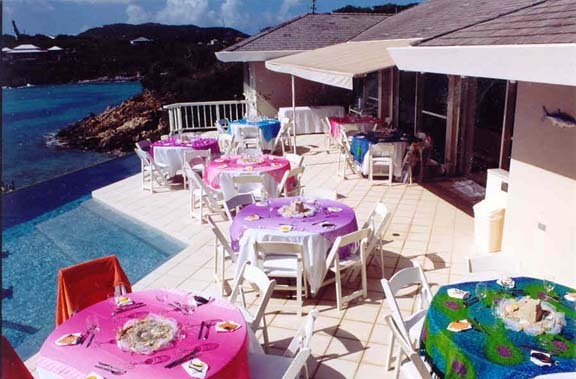 This wedding was held in St.Thomas at a private home. 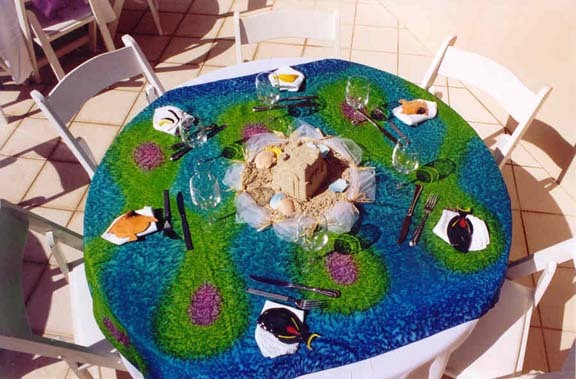 Each table has its own centerpiece with a beach theme. 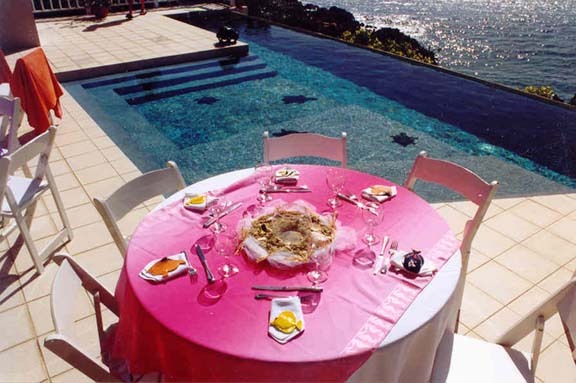 Each place has one of our tropical fish as a wedding favor.